RimWorld offers you a variety of ways to set up your own colony. In addition to all the training and care of your colonists there are always attackers who want to get a piece of your progress. Here, you have options to imprison settlers, recruit your colonists or even you can buy or sell slaves. More recruiters mean more productivity, but also additional costs and a higher consumption of materials. 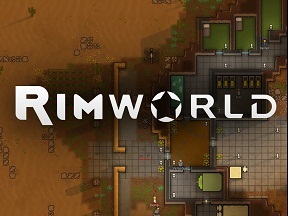 If you have just started with RimWorld, we recommend you our beginner’s tips. You can choose several ways to increase your small community in RimWorld. Just take some money and take a look at the slave market or try with nice words to persuade prisoners of your colony. So recruit settlers is a question of the cost and the right price. Most of your prisoners are likely to be hostile locals or robbers. However, you can also bring characters behind bars that you just wanted to visit in RimWorld. For this to happen you must take one of your settlers and thrown into a suitable prison to catch another character. Select one of your colonists and then click to enter with the right mouse button and appropriate command. - Create an area that it defines as a prison. - Mark the bed for the prisoners, so that it is not occupied by other RimWorld colonists. - Of course, you should lock the door. - Make sure that your captives not starve and give them food. - You can lock several prisoners in a cell. - However, if the cell door is broken, you struggle with many escapees. Attention! You can only capture looters and robbers if they are unconscious. If you have prisoners, then you can recruit one of your settlers as a watchman. So he is the only resident that has the opportunity to interact with the prisoners. Now you can see the inmates get food, call a doctor or try to recruit him. Also, you can talk to the prisoner. Through friendly conversations you can win the prisoner of your sharing. Appoint your best settlers with the highest social value to the guard / caretaker. There is also the possibility to release the prisoner, which increases the relationship to the respective fraction. But this will not work if the relationship is already at -50. You can leave a prisoner also execute from your caretaker. However, this brings 8 Mood debuff for 10 days. Furthermore, your unwanted prisoners can kill by cold or heat, or sell to slave traders (pirates). If you sell a slave, and this creates a negative sentiment. If you have a skilled doctor in your community, then you can use their organs.